Ludmilla Vatinashkaya already struggles to balance the challenges of marriage and family with her promising career as a captain in Stalin’s army when she is ordered to direct Vampsov, a covert unit created to fight the most implacable enemies of the Soviet Union: vampires. Astonished and initially skeptical, Ludmilla takes her unit on a thrilling and violent trail of destruction as Vampsov hunts down the blood sucking enemies of Socialism. With the help of Vassily, a dark and brooding creature who denies his very nature for his love of the fledgling Soviet state, they confront the most notorious monster of all in his Transylvanian lair. 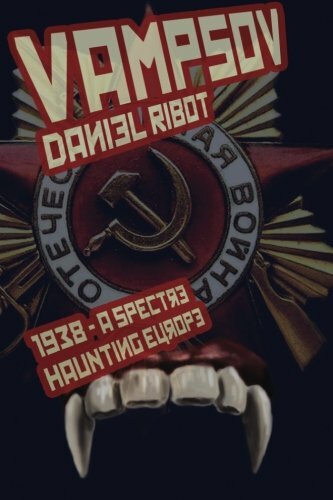 Vampsov 1938, brings to life in luscious detail the Stalin-era Soviet Union. Daniel Ribot has beautifully navigated this turbulent page of history to create an an edge-of-your-seat thrill ride that’s hard to put down and impossible to forget.